A linchpin of Fradkin & McAlpin Architect’s practice is to help client’s refashion their residential space to fit their lifestyle and domestic needs. 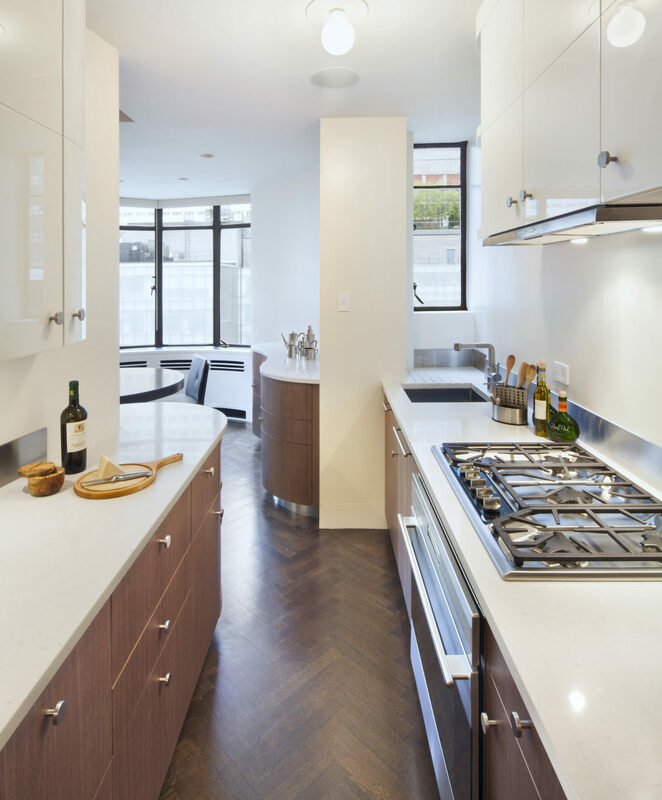 In New York City’s real estate market, where every space and every opportunity comes with constraining conditions, our firm has learned how to deftly work with and around those factors to mold the space to accommodate the urban living style of our clients. Three different examples of Fradkin & McAlpin's iterative take on urban living from our firm’s first 15 years are described here. 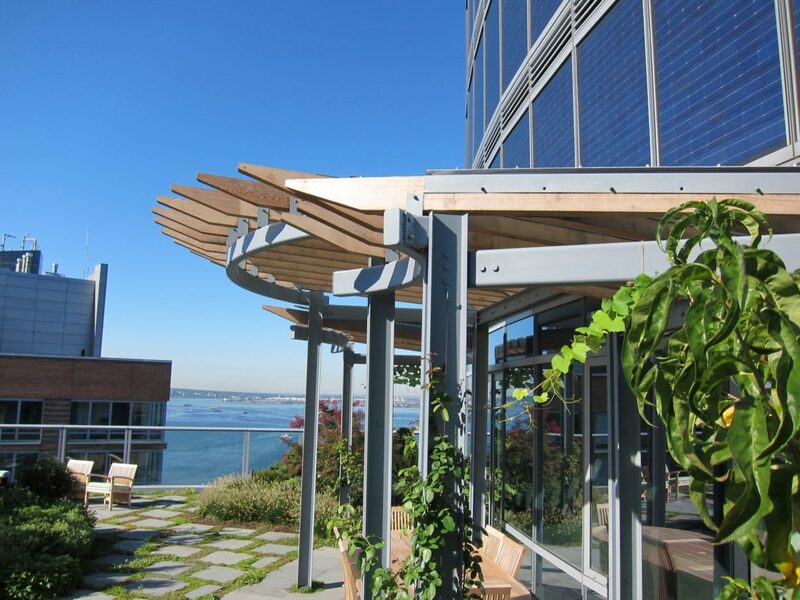 This 4,300 square foot rooftop complex has sweeping views of the harbor and Hudson River. The outdoor terrace and apartment are almost of equal size, both about 2000 square feet. This perfect setting for indoor and outdoor living was acquired by our client, a gardener, and roof top farm advocate.The apartment was designed with extensive built in furniture to conserve space and the curving lines harmonize with rooftop garden. 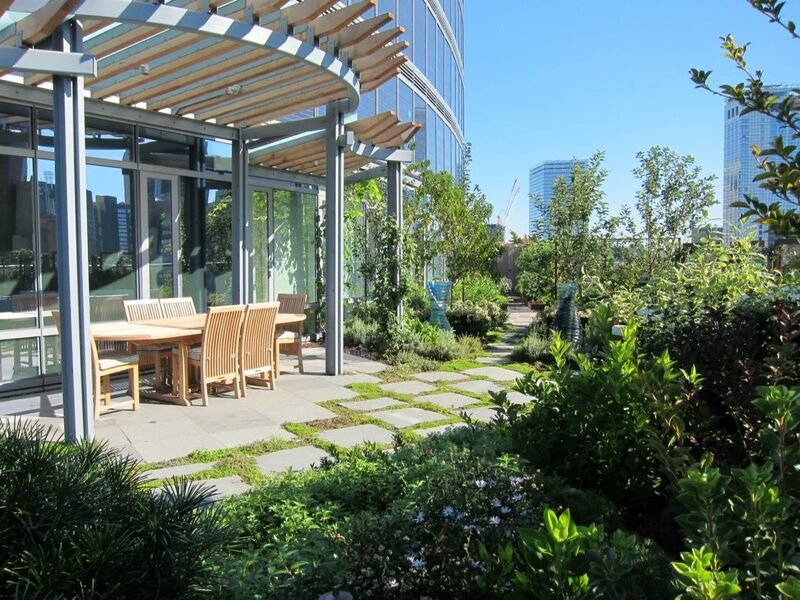 The terrace was converted into a yard like intensive green roof with garden pergola, mini orchard, and yoga space. The terrace garden is used year round and is the focus of our client’s own gardening blog. The design for this two bedroom apartment in the landmarked Wallace K. Harrison designed building retains the aesthetic language of the original design. Through a series of deliberate, subtle and ultimately significant moves, we struck a balance between historic integrity and contemporary lifestyle. Enlarging the galley kitchen to be wide enough for two to cook at the same time, and connecting it to the dining area was the biggest transformation. A close second was incorporating central air without lowering the ceiling height in major rooms. The result is a comfortable, modern living space that retains the character and elegance of a midcentury icon. 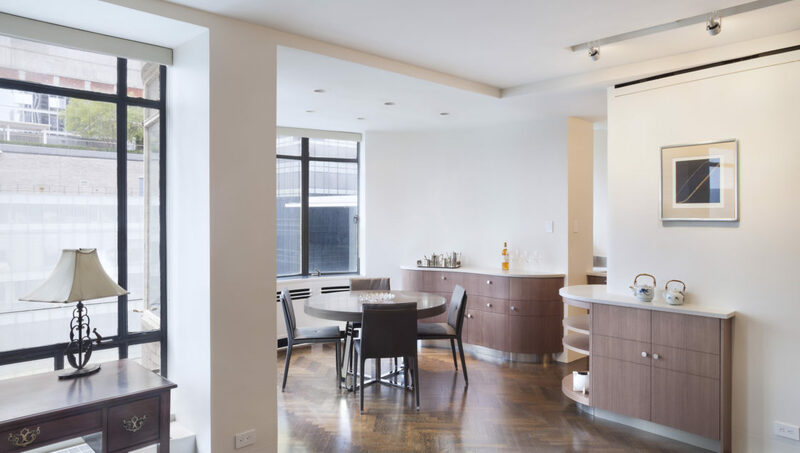 This 6,000 square foot apartment in a fabled pre-war Candella Building was completely redesigned to suit the needs of new owner. The goal was to preserve the grand public rooms overlooking the Central Park Reservoir while updating the layout of the kitchen, service areas, and bedrooms to reflect the client’s lifestyle. The result was a timeless modern update to this classic apartment that fits the client’s family and entertaining lifestyle. To read more entries in our 15 Projects|15 Years series click the tag below.